See, show and share: a new dimension of digiscoping. Leica Sport Optics offers all components for perfect digiscoping, making nature photography a unique experience that you can share with others. 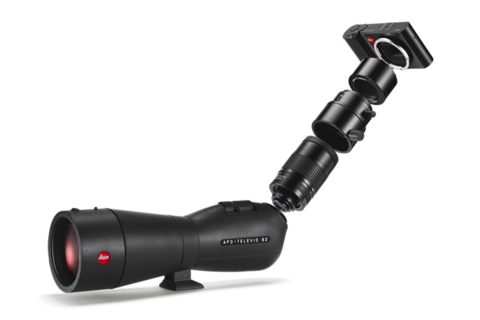 The Leica digiscoping system combines one of the proven Leica APO-Televid Spotting Scopes, a Leica TL Camera, the Leica Vario Wide-Angel Eyepiece 25x50x WW ASPH, the Leica 35 mm Digiscoping Lens, and the Leica TL Adapter for the Leica L-Bayonet. See, show and share: the Leica APO-Televid spotting scopes with 25 to 50-fold magnification promise wildlife observation with unrivalled detail and clarity. Digiscoping mode, offered exclusively by Leica cameras, allows perfect combination of the Leica TL camera with all Leica APO-Televid models. With the app for the Leica TL camera, pictures can be viewed on a smartphone or tablet and shared in social networks almost in real-time. 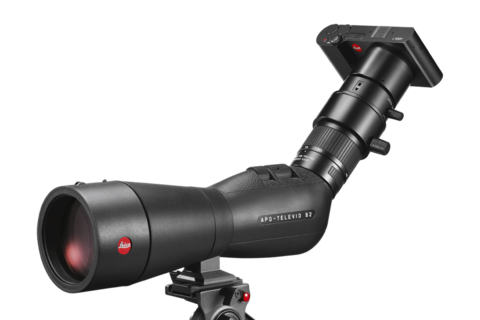 Leica is thus the only manufacturer to offer a complete premium digiscoping system with perfectly matched components from one single source. ‘Our aim is to bring the fascinating world of digiscoping to as many customers as possible. The perfect interplay of the Leica APO-Televid, the Leica TL and digiscoping mode makes this all wonderfully easy for beginners and experienced users alike. At the same time, our customers enjoy the benefits of the excellent colour fidelity, sharpness and contrast of the Leica APO-Televid models in combination with the exceptional picture quality, the APS-C sensor format and the touchscreen control concept of the Leica TL’, says Nanette Roland, Product Manager Leica Sport Optics.